Adorable Gift Baskets delivers gift baskets to MO for holidays and all occasions. Gift baskets themes include such occasions as birthday, get well, new baby, thank you, sympathy, housewarming, corporate and personal events. Gift baskets contain products such as gourmet food, fruit, coffee, tea, chocolates, snacks, cookies. Adorable Gift Baskets will save you time and money. Whether you need a gift basket delivered for a friend or loved one, for the holidays or a birthday, Adorable Gift Baskets fills each basket with creative gifts and goodies for all occasions. Our outstanding gift baskets will delight your loved one and brighten their day. Buy online and take advantage of coupons and free ground shipping. Now that adds up to big value! Missouri gift delivery by Adorable Gift Baskets can make life easier when your time is limited and you need to send an elegant gift. Gifts are meant to surprise, romance, or pamper the ones you love, and with our easy online ordering process, your Missouri gift baskets can be sent to your loved ones without hassle. Dazzle your distant friends in MO with a gift basket stuffed with delightful foods such as dreamy chocolate snacks or gourmet food blends. 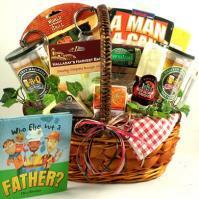 Make your parents' day with a Mother's or Father's Day gift basket delivered to Missouri. MO gift delivery by Adorable Gift Baskets gives you a wonderful opportunity to make a lasting impression on your new found love. Romance them with a snack-filled Valentine's care package. MO gifts delivered for Valentine's Day feature every type of edible treat your sweetheart will adore. Every time he or she indulges, you'll be the center of their thoughts! Keep a list of birthdays for relatives, clients or friends so you'll always remember to send a thoughtful birthday gift or care package. Gift baskets for birthdays are put together in a variety of styles, colors and themes so you can find the perfect match for your recipient. Does your friend enjoy movie nights? Try a movie theme basket. Or if they enjoy sports such as golf or basketball, a sports theme basket by Adorable Gift Baskets might be a consideration. For the younger generation, try gift baskets for kids. These are filled with fun-loving gifts such as kids joke books, activities and games to make any child's day. All children love finding a package at their door with their name on it! Our gift baskets sent to MO will help you treat a niece, nephew or your own son or daughter to a jam-packed MO gift basket bulging with their favorite snacks and activities. Does your sister or best friend need a break from daily stress? Send gift baskets to a Missouri loved one that will pamper her mind and heart. Our soothing spa gift baskets feature fragrant bath products including bath oils and bubble bath. There are spa indulgence MO gift baskets with aromatherapy gifts to encourage a relaxing mood and serenity. Adorable Gift Baskets offers numerous elegant spa baskets for new mothers or anyone in need of some rest and relaxation! Make it a day to remember for your loved ones with beautiful gifts delivered to MO from Adorable Gift Baskets. We want to help you create a memorable moment for your loved ones while selecting the special gift baskets they'll adore! Visit Kansas City, Missouri: "City of Fountains"
Missouri was the 24th state to be granted statehood - Aug, 10, 1821. The state flag was instituted in 1913. MissouriÌs official flower is the Hawthorn. MissouriÌs official bird is the Bluebird. MissouriÌs official tree is the Flowering Dogwood. MissouriÌs official fish is the Channel Catfish. MissouriÌs official fossil is the fossilized remains of Crinoidea. MissouriÌs official horse is the Missouri Fox Trotting Horse. MissouriÌs official grape is the Norton/Cynthiana grape. MissouriÌs official insect is the Honeybee. MissouriÌs official musical instrument is the Fiddle. MissouriÌs official nut is the Nut of the Black Walnut tree. MissouriÌs official rock is the Mozarkite. MissouriÌs official song is the ÏMissouri Waltz". There are 114 counties in the state of Missouri. MissouriÎs official motto is ÏThe welfare of the people shall be the supreme lawÓ. MissouriÎs nickname is ÏThe Show Me StateÓ.